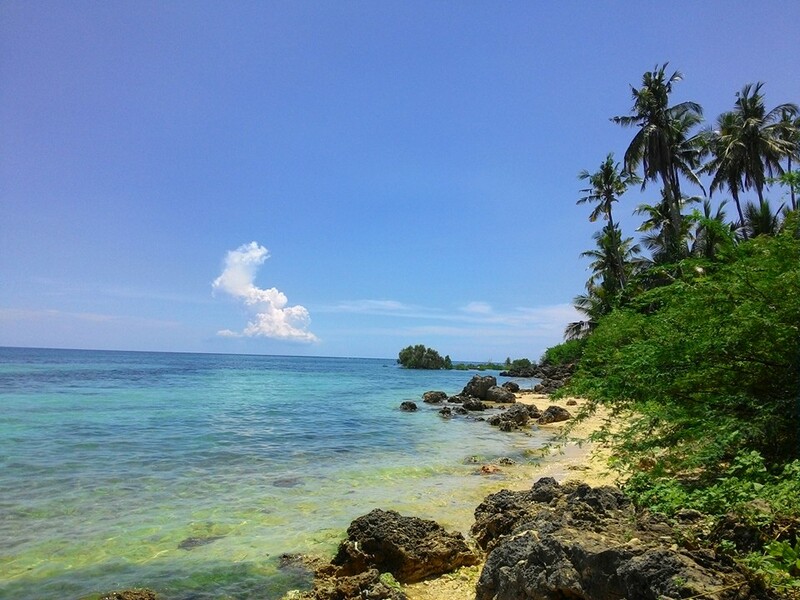 Tabuelan is a small laidback town located 90km on the northwestern seaboard of Cebu, Philippines. If you want to take a break from the noisy commercial beaches, this is the perfect place to be with their unspoiled beaches, natural appeal and unadulterated ecosystem. Which is why under unanimous decision, my colleagues and I have decided to take a short jaunt to this beautiful piece of paradise for our team vacation. Assuming that there are no direct flights from your country to Cebu, you can do a stop-over in Manila then fly from Manila to Cebu. Once you arrive in Mactan Cebu International Airport, you can take a cab to North Bus Terminal. I wouldn't suggest taking a cab from Mactan to Tabuelan because it will be very expensive and I doubt taxi drivers would oblige since it's a really long way. Once at the North Bus Terminal, you have several transportation options to choose from. Please note that prices may change. Since we were a large group, we opted for the Private V-Hire (van for hire) which can sit up to 14 passengers. The route we took passed through the main city road heading North, passing by Mandaue City, all the way to Sogod, until you reach the peaceful town of Tabuelan. It was an almost 4-hour travel since we had to take a short stopover for breakfast. But the long drive is absolutely worth it. Tip: For those with privately owned vehicles, you can take the shorter alternative route via the scenic Transcentral Highway, passing through Tuburan. Or you can take the Tuburan-bound V-Hire at Ayala Center Cebu that takes the same route. And from Tuburan, you can take a tricycle heading to Tabuelan. If taking the bus, drop off will be at the Tabuelan Bus Terminal where you can hail a habal-habal (motorcycle for hire) and request to be brought to your resort. Buses in North Bus Terminal operate 24-hours and leaves every 30 minutes. Behind this ancestral home is, however, a hidden gem in Tabuelan. You will find a long stretch of unspoiled beach with a rocky shoreline that will offer you a calm and solemn atmosphere. The pristine water is so crystal clear that when you take a step you can still see your feet underwater. There are also little sand bars underwater so the beach is not all rocky. The place is so beautiful that you can just sit on the sand or on one of the rocks basking under the warm summer sky and just marvel at how clear and unpolluted the sparkling emerald green & turquoise water is. It’s also best to take a swim in the morning or early in the afternoon when the tide is still high. And you can walk far from the beach and the water would still be up to your waist. And during low tide (around past 3PM), the water is really, like REALLY, low. All you can do is walk and look for starfishes or sea urchins. You can also take a short walk from the ancestral home to get to Maravillosa Park which is one of their stunning public beaches. Unlike the beach behind the ancestral home, this here has a long stretch of soft, fine, clean, pure, powdery white sand which you can lie down and roll over, and not get a single blister or cut on your skin. There’s not a single rock on the shoreline – just pure white sand. You can also run around on the beach water and not see a single sea urchin. You can also see thatch-roofed huts lining the beach front available for day-use. And they also have rooms for those who want to stay overnight. As you can see the place is absolutely stunning! Perfect to escape the hustle & bustle of the city life. The abundance of trees and lush mangrove forest also gives a breath of freshness to this gorgeous place. The beach is so postcard-perfect! And it’s definitely instagrammable! You can check out some of the Instagram photos I took here. Just follow me on @travel_with_eyah.